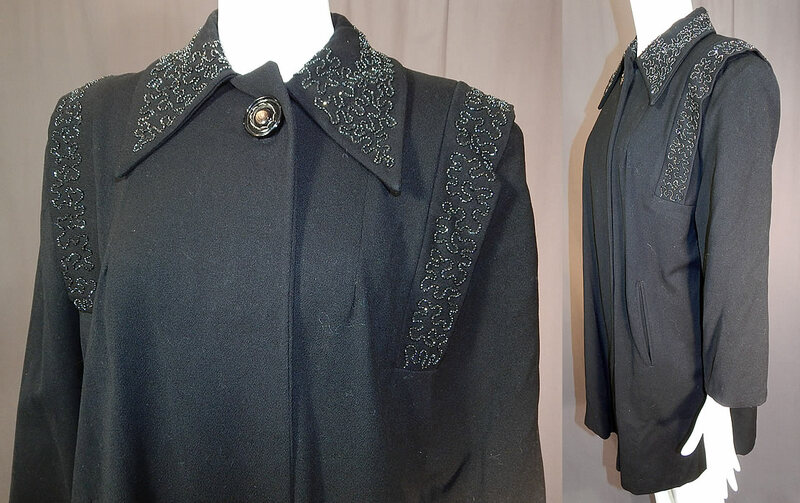 This vintage black beaded gabardine wool swing coat winter jacket dates from the 1940s. 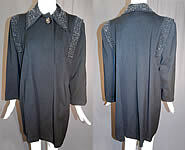 It is made of a black gabardine wool fabric with black beading done in a scrolling spiral pattern design along the shoulders and collar. 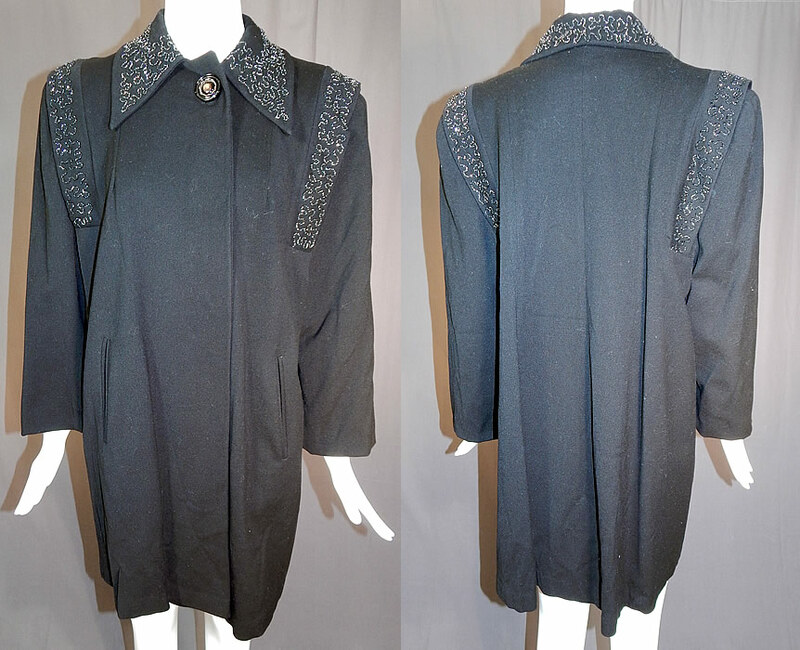 This beautiful beaded winter coat jacket has a loose fitting, mid length, swing style, broad shoulder padding, a fold over beaded collar, long full sleeves, side slit pockets, a single button for closure at the neck and is fully lined. 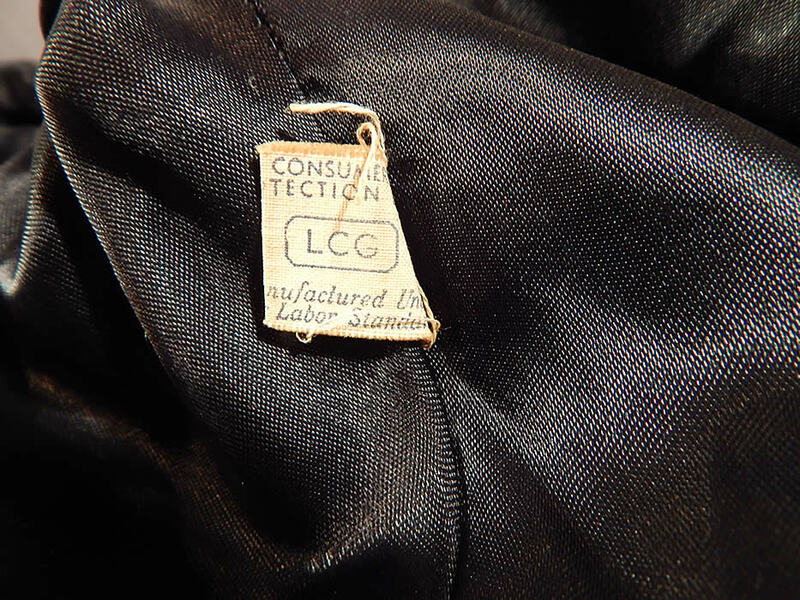 There is an "LCG" Consumer Protection union label sewn inside. 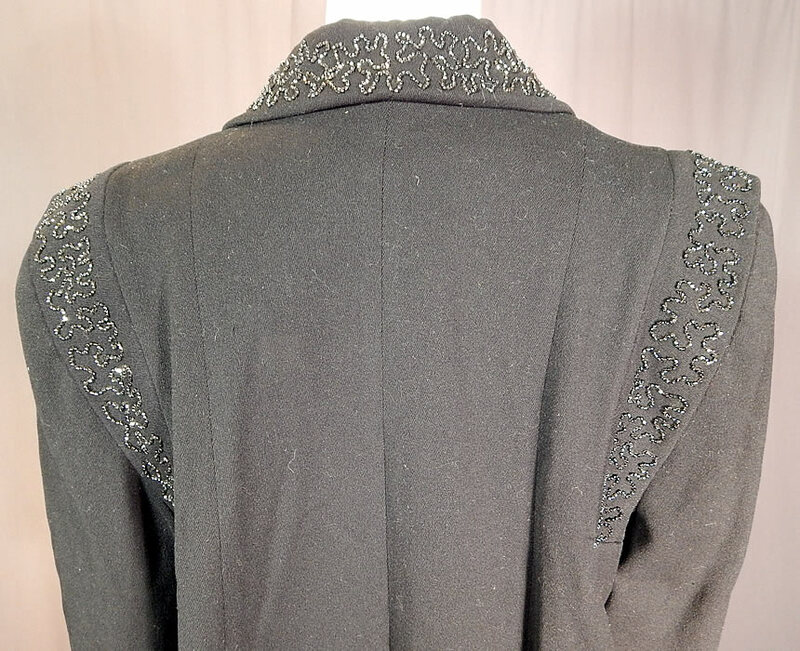 The coat measures 35 inches long, with a 44 inch bust, 44 inch waist, 21 inch long sleeves and 13 inch back. It is in excellent condition. This is truly a wonderful piece of beaded wearable art!